Did Jenelle find a way to put all her animosity aside in order to follow through with her marriage to David? 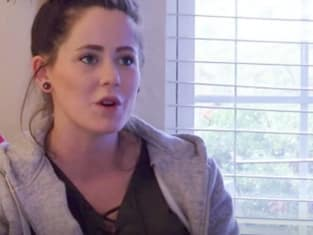 That was the big question on Teen Mom 2 Season 9 Episode 18 when the outspoken reality TV star told the producers to get out of her house and claimed the wedding was off. Meanwhile, Kailyn encountered another hurdle as she continued to try and move on from Javi. Also, Briana had a shocking revelation for Luis. Use the video above to watch Teen Mom 2 online right here via TV Fanatic. Get caught up right now!